The rush to criminalize and punish has led to a draconian culture. There is an irrevocable nature to our penal system that has created a class of people that are marked, stigmatized, and isolated. We cannot propose on the one hand that all mistakes are permanent, and on the other hand we cannot live with the pretense that we live in society that believes in redemption. So rarely is being humane part of our criminal justice system, Ban the Box is an attempt to inject humanity into and often cruel system. When a debt to society is paid, it must be considered paid in full. When a sentence is over we must keep our promise not make a life sentence out of every conviction. Rhode Island stepped up and provided a path for the formerly incarcerated to engage in the full economic life of RI. It is common sense, after all we believe that when a debt is paid then it is paid. Rhode Island took a bold step to undo the damage of mass incarceration. The tool to do this was Ban the Box. This is a law that prohibits a box on an employment application that asks about a criminal record. This was done because that little box became a short cut to a rubbish bin. Ban the Box allowed an applicant to discuss their status directly with an employer. This provides a path to a relationship, a chance to explain circumstance, a chance to move on. 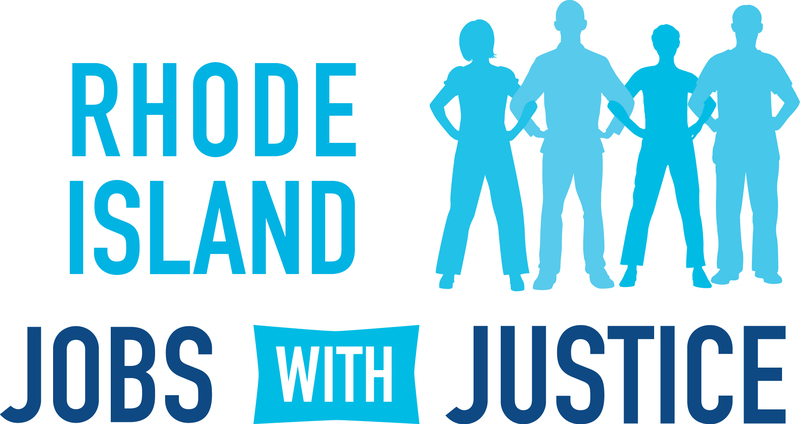 In my role at Jobs with Justice as Director I am lucky enough to meet and spend time with Rhode Islanders from all over, mostly working people at all points of life. It is the barriers that working people face can be massive and building a life worth living requires the full spectrum of our shared humanity to make it. We cannot afford people on the outside of our society. Ban the Box as good as it is, it still needs a chance to work. Representatives Slater and Diaz have made a proposed a change will provide employers to be armed with the information they need to comply with Ban the Box, and give prospective employees the tools they need to get employed. In the 3 years since implementation Ban the Box we have seen serious improvement in the treatment of our formerly incarcerated neighbors, now it is time to take another step and fully implement the law through better information and better agency engagement. Serious discussion about streamlining the process of reporting Ban the Box violations, with the changes that are proposed an applicant can report Ban the Box violation directly to the Dept. of Labor and Training. Many of the violations happen because of simple lack of knowledge, with improved notification, the vast majority of violations would simply go away. Egregious violations or multiple issues will go to the RI Human Rights Commission for investigation. The Human Rights Commission, Dept. of Labor and Training, RI Jobs with Justice, DARE, and the ACLU and the bill’s prime sponsor Representative Scott Slater negotiated a clear path to make Ban the Box a meaningful law and that is why we urge passage of House Bill 6141.